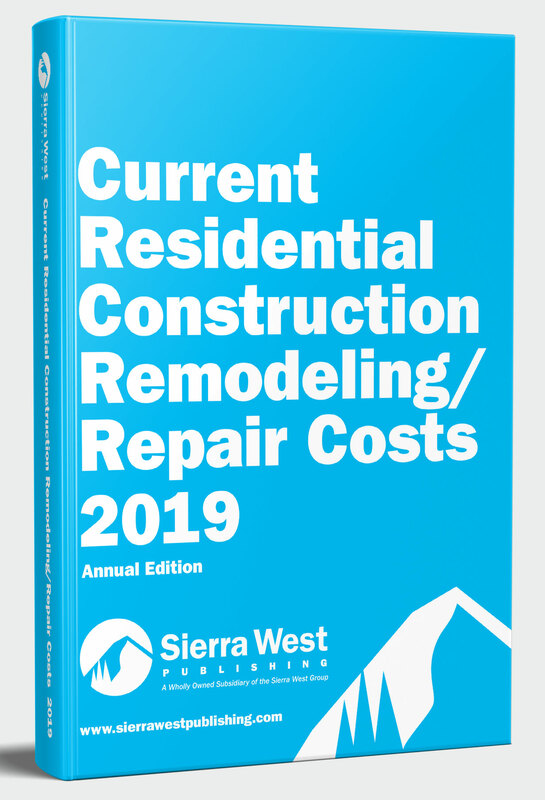 The Sierra West Publishing – Residential Remodeling Repair Construction Costs, which is often used in conjunction with the CCC manuals, is utilized by architects, engineers, estimators and contractors within private industry and public agencies across the United States. It is a construction cost resource containing approximately 8,000 items of commercial residential construction arranged in the standard CSI 16 division numbering system.format. The publication specifically addresses the installation costs by degrees of difficulty in the installation and productivity, from the easiest to the most difficult. The Manual includes in the publication is the Wage Rate Recap, Sierra West Current Construction Cost Index, Major Cities Cost Relationship Index, including Canada, and standard abbreviations used in the industry. Total Cost for each degree of difficulty.